NORTHRIDGE, Calif.—JBL Professional by HARMAN today announced the immediate availability of the new JBL HiQnet Performance Manager™ 2.1 software update, offering powerful new tools for measuring and tuning live sound reinforcement systems. 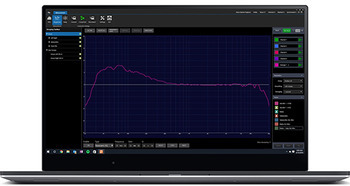 Performance Manager version 2.1 integrates Rational Acoustics’ world-renowned Smaart® acoustic testing and measurement software directly into the Performance Manager workflow, providing audio technicians and engineers with unprecedented access to measurement information—all delivered over the network in real-time. Smaart acoustic testing and measurement software is the most straightforward and widely used software for real-time sound system measurement, optimization and control. The dual-channel, FFT-based software enables engineers to diagnose and solve problems quickly by viewing the frequency content of signals and measure the response of electrical and electro-acoustic systems in detail. Mix engineers can use Smaart to identify tones or frequencies of interest and help with tasks like feedback suppression and channel equalization. System engineers can use Smaart to accelerate and streamline the process of setting up and aligning JBL speaker systems in a performance environment. In addition to Smaart software integration, Performance Manager 2.1 features an entirely new Go-Online mode that offers more intuitive options for system synchronization and management of online devices. A new Line Array Control Panel makes using the Line Array Calculator, a key tool for system configuration, more intuitive and easier to use. In addition, features have been added to Select Input Source mode to make managing and monitoring AES audio distribution a simpler operation. Finally, a number of bug fixes and key performance enhancements improve on the user experience, speed and ease of use.